Breathe could have focused on Robin Cavendish's work to help people with handicaps; instead, it meanders and never fully embraces the great story lingering in the background. Breathe is the inspiring true love story of Robin and Diana Cavendish, an adventurous couple who refuse to give up in the face of a devastating disease. Their heartwarming celebration of human possibility marks the directorial debut of Andy Serkis. Andy Serkis has been the go-to CG effects motion capture artist for years thanks to his performances in, among dozens of others, the Lord of the Rings and the Planet of the Apes movies. He’s a modern Hollywood institution. So, it’s a curious decision that his directorial debut would be a movie like Breathe. 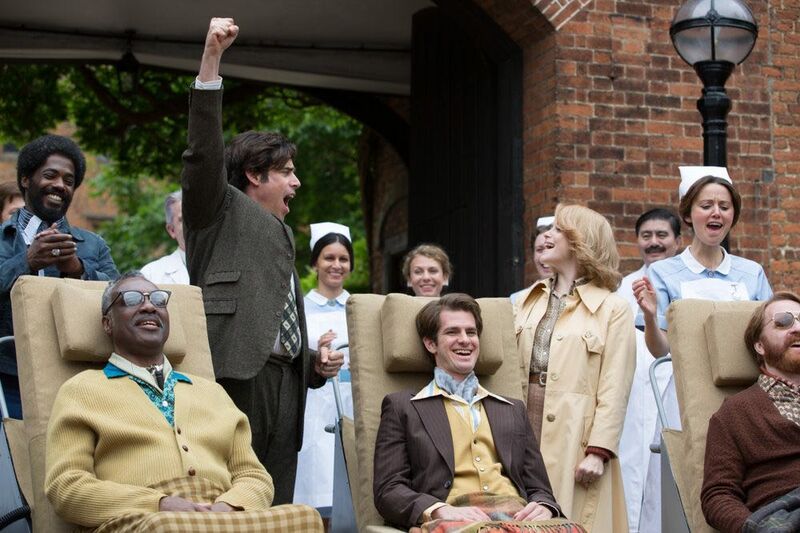 Breathe is about British tea broker Robin Cavendish (Silence‘s Andrew Garfield) who, on a trip to Africa in the 1950s, contracts polio and ends up paralyzed from the neck down. He winds up bedridden and connected to a breathing apparatus, and his doctors all but give up on him. Figuring that he can get the same care at home as he can in a hospital while being more comfortable, his wife, Diana (Claire Foy from The Lady in the Van), sets him up in a room for him to live out his days. A handy friend of the family named Teddy Hall (Paddington‘s Hugh Bonneville) invents a mobile ventilator and hooks it up to a wheelchair, and Robin is suddenly mobile and is able to live a (semi)normal life. Robin and Diana become activists, not only inspiring other disabled people but helping them live normal lives as well. 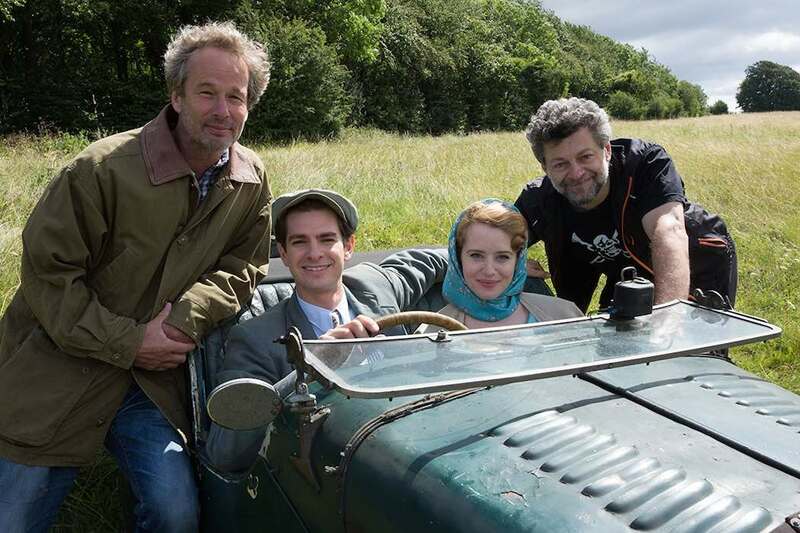 Like a good chunk of Hollywood Oscar bait, Breathe is based on a true story; Robin’s real-life son Jonathan Cavendish even served as producer (to be fair, Jonathan actually is a movie producer, having worked on things like Bridget Jones’s Diary and The Ritual). Unfortunately, Breathe misses the mark, concentrating more on Cavendish’s illness and disability than it does his activism. The movie spends most of its time on his and Diana’s free-spirited roaming than it does the important work he did later on in his life to help others with similar handicaps. It never gets to the right story, so the whole thing ends up feeling like a wasted opportunity. The world doesn’t need a movie like Breathe after it already got The Theory of Everything a few years back. It’s essentially the same story, only without the emotional investment on the part of the viewer. Claire Foy tries her hardest to make a connection, but even as the lead, she’s not given enough with which to work, and Andrew Garfield is limited to facial expressions for most of the movie, so he’s not much help (he should have paid more attention to Eddie Redmayne’s performance in The Theory of Everything). Without that empathy, Breathe falls flat. So, while Breathe isn’t a complete failure, it’s pretty far from an effective film. No one needs to worry about Andy Serkis, though. He’s already working on something that seems to fit his strengths a bit better – yet another reimagining of The Jungle Book, due out next year. Screenwriter William Nicholson (Unbroken, Les Misérables) seems to not know quite what to do with the story of Breathe. Most of the drama takes place in the first act of the movie, so the rest of the running time just drags on and on. There’s stuff happening, but none of it is as interesting as the setup until the last twenty minutes or so. Even the “dangerous” plot elements are predictable; Robin is moved home, and of course, his respirator accidentally comes unplugged! It’s like the second act is just a poorly paced connecting device between the beginning and the end. There’s a weird vibe to Breathe. It’s basically a romantic tearjerker, but there’s a running comic theme throughout the film that doesn’t quite work. It’s almost as if the movie was originally made to be a slapstick comedy and was re-written as a drama, only not all of the comedy was removed from the finished script. There’s a lot of misguided comic relief in the film that distracts from the film’s overall message, so much so that it seems as if there is no overall message. Breathe is tonally schizophrenic.